I am reposting this blog because it is extremely important, lifesaving information. It doesn’t seem like it should be a problem this time of year, but it is. Summertime fills our medical offices with sports injuries, weekend warrior wounds, fishhooks and more. But there is another predator that seems tame enough, but can actually be deadly—especially to kids. When a patient presents to one of our offices with difficulty breathing, we must make a timely decision about the cause, especially if that individual is unable to communicate. Shortness of breath is always a serious problem, but there are factors that must quickly be taken into consideration in order to successfully intervene. One of the chief causes of shortness of breath during the summer is asthma, but this presents some problems of it’s own. Many who have known asthma ignore their summer symptoms, expecting them to pass, or that a simple inhaler will resolve the issue. It is a common misconception that the cold winter months are the most dangerous to chronic asthma sufferers, but this is not true. 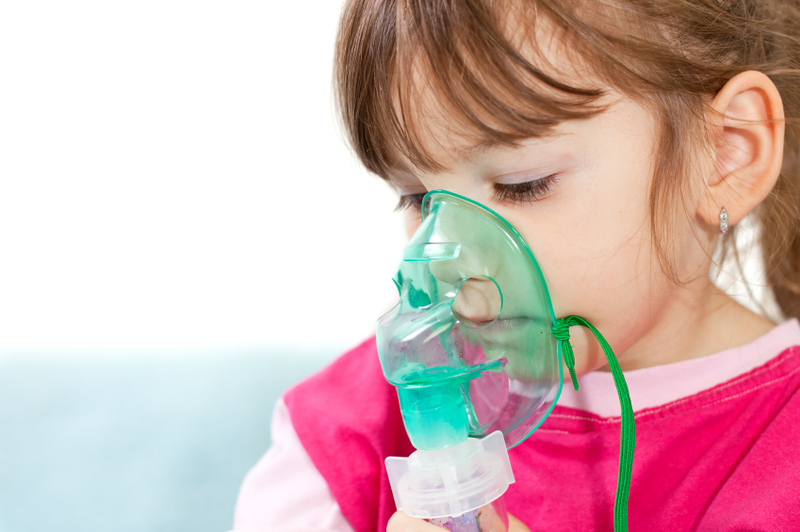 A summertime asthma attack can progress quickly, especially in humid or smoggy environments. Insect bites, medications and foods are some of the most dangerous of allergens. They can produce life-threatening reactions that require immediate treatment. Don’t ignore difficulty breathing just because you’ve never been allergic to anything before. How long has there been difficulty breathing? Depending on how long the shortness of breath has been going on gives us an idea how rapid it is progressing. Oftentimes this also helps us determine the cause. Extremely rapid onset and progression of difficulty breathing is often an allergic reaction and very dangerous. Failure to seek immediate medical attention can easily result in death. Shortness of breath is dangerous enough in adults and adolescents, but in infants and young children, the risk is exponentially higher. Adults and adolescents have considerable reserves compared to young children. It is not uncommon for small children to present to the office battling for each breath, and then suddenly falling into life-threatening respiratory arrest. The take home on children with difficulty breathing is simple—get immediate medical attention at an urgent care facility or emergency room. There is no time for delay. Is there an underlying cause? Many of us have medical conditions that can predispose us to respiratory distress. Certain heart conditions, lung diseases, and medications can factor in to determining the proper diagnosis and treatment. If you have any underlying medical conditions, it would be helpful to have these written on an index card to hand to a medical provider in the event you can’t speak. The primary focus when shortness of breath presents—seek medical attention. This is even more critical if the patient is a young child. A delay in treatment could be fatal.